Do you remember when you were young and in love for the first time? What about when you started that first job that gave you a “real” paycheck. You know, the one that you could actually pay your rent with? I think about those feelings every time I look at The Fool card. The number of this card is 0. It is a perfect circle of a complete cycle. This is just one of the reasons why I love this card. 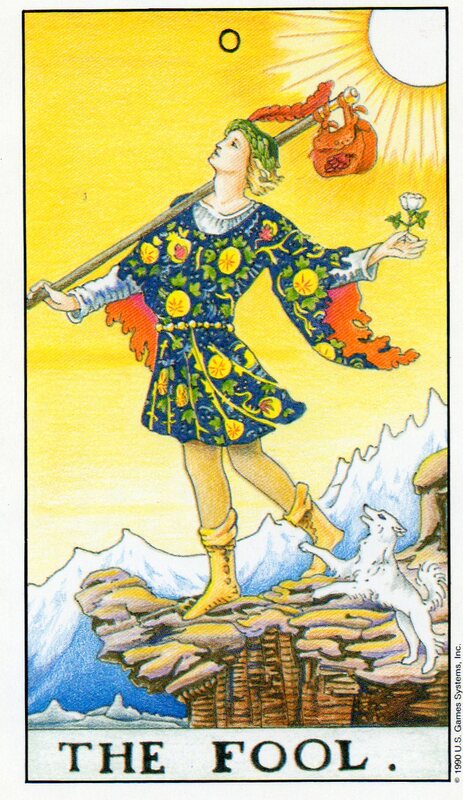 On The Fool card is a young man, fresh, and full of vitality. He is ready to take on the world! The sun warms him at his back, he’s got a faithful companion to help protect him, and there are mountains, yes mountains, on the horizon! If this was a more modern deck, he might have on shades because his future is so bright. He’s got a new bag of tricks, and he is ready to ROLL! Like Kanye, you can’t tell him NOTHIN’! His clothes are “casket sharp,” and you get the feeling that he thinks there is nothing he can’t do. The type of excitement that this young man has is what drives me. People are always teasing me because I am always working on a new project. That is one of the reasons why this blog has not been updated lately. 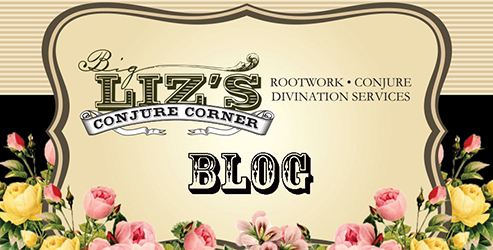 I’ve really been trying all kinds of new things Conjure that are related and that are not. I find when something new that interests me, it excites me. I can go at it for hours and hours. I am a writer, photographer, a miniature enthusiast, and I really have a jones for interior design. I pride myself in dedicating hour upon hour to my work. But then something happens – I burn out. Often I wonder why I burn out when I was so passionate about something just a short while ago. What happened to my drive? Why do I want to pick something else up, and put this recently new passion down? I think the answer lies in this card when it is upright, and most certainly when it is reversed. Don’t get me wrong, upright it is still a positive card to get in a reading, but there are a few things you should take special notice of when you are talking about The Fool. He might be just a little too carefree. Have you ever begun a project because you were in love with the idea of the project, but you really did not take the time to completely think it out? Well, you can see this in The Fool card. The background of the card is yellow, the color of caution. His little dog looks like he is trying to warn him about something. Take a look at his feet; look where he is walking. This (quite literally) Fool is about to step right off a cliff! The cliff is a rocky one at that! He will not make it to those mountains in the horizon if he is dead. My grandparents always cautioned me to look before I leap – well because often I did not. All the energy, youth, and excitement in the world will not help you much when you have a severe injury from falling off a cliff. I think a cliff is a great equalizer. So the caution I give to a client when I see the card upright is that is it wonderful to be an open and unpredictable person. I let them know that most of us do not like restrictions, but some of us dislike them more than others. I caution them to stay the wonderful person they are, but not to disregard advice or authority that may be in their best interest. If this card represents the querent’s lover, I let them know that their relationship may not be a stable or permanent one, as The Fool does not like to be tried down by anyone. But I digress. What about when this card is reversed? Some readers do not read reversals as such, but I do. I figure the cards fall the way they do for a reason, and I read them the way they fall. If this card is reversed, it indicates a lack a maturity and fear of the unknown. If this card represents the querent, then they are probably their own greatest enemy. They are holding themselves back from taking risks because of fear. This person may not take heed of the things more experienced people have to say, are they are causing real damage to their lives, and possibly the lives of others. They make unbalanced, irrational, poorly thought out decisions that have the potential to really ruin their lives. Their bad choices and reckless behavior is really causing problems in their life. This is also applicable if the card represents someone that the querent is inquiring about. It is very interesting, The Fool reversed could also mean that you are making poor, ill-informed choices because someone in your life, who you trust, is giving you bad information, and you believe them. When I am reading, and I get this card reversed, I want to scream “stop it! Stop it right now!” But for the sake of professionalism, I don’t. I do, however, let them know that they really need to take a step back, think about the consequences of the decisions they are making, and try to assemble a plan that works to their benefit rather than their detriment. So being carefree and spontaneous is not a bad thing. Just make sure that your free spirit does not cause issues in your life. It is always good to mix a little structure and temperance in with your inspired, creative, and wild ideas.